It seems so simple working with gas. A little bit of pipe, some orange hose with numbers on it and a few clips. Also my mate’s dad is a plumber and said he can help. I mean it isn’t rocket science is it? Some things should worry people. Gas, electricity and clowns being just a few of the commons ones. With all scary things you are safer if you follow the rules. Accidents will always happen of course. But with a few simple checks and some routine maintenance there is no need to panic. After all boating is fun and so much better with a hot cup of tea and a cooked breakfast. So firstly should you be touching the gas system on your boat? My own opinion would be “even if you are allowed to NO”. Officially though boats fall in and out of various regulations depending on how you use the boat. So call the Gas industry if you are unclear on your status. But do remember this isn’t CRT, the BSS or the local council. This is the Gas industry and serious stuff! When you read on social media “tell them you don’t live on it” do ignore them as those are the clowns we mentioned before and are not to be taken seriously. So do make sure you know who you are and what you need as determined by the industry guidelines. As an example working on a live-aboard boats gas system is the same as digging a hole in the street and tapping into the gas main. You have entered a residential gas system and you better be qualified and registered. So now you have decided you like your eyebrows unsinged how do you find a Marine LPG Gas Safe Engineer? Word of mouth is always a good idea. You know they work on boats and have at least some experience. 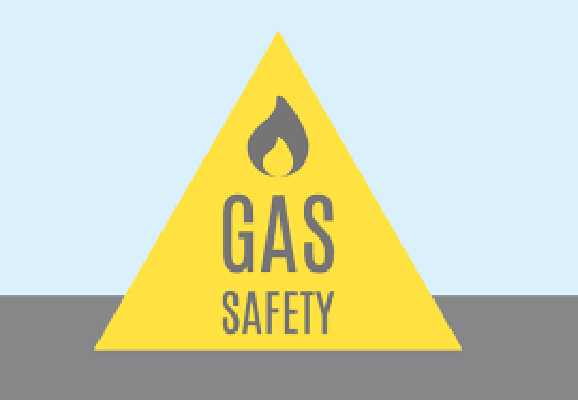 The Gas Safe Website also has a search feature. To work on boats they MUST have LPG, Boats AND the appliance they are there to work on. This will be listed on the website and also on their ID card. You MUST ask to see this when they arrive and check it is in date. As you are not going to touch your gas system what can you do then? After reading this why not go and check if there is anything in your gas locker except the gas cylinder and pipework? Those cylinders are heavy and it’s so easy to damage equipment. Using your gas locker as storage clutters it up making damage more likely and stops you giving your locker a visual inspection when you change the cylinder. It can also block the drain. Are you bottles secure? Did you refit that strap that stops the bottle banging into the pipework when that annoying little git in the canoe goes past? Put simply gas lockers are for gas cylinders. Inside the boat does everything look ok? Sounds silly but so many people say “o yeah, I thought that looked a bit odd”. Pipework shouldn’t be hanging loose and cracked hoses are a sign it is getting old and should be replaced. Appliances are the main reason you will be calling in a gas engineer. “From now on I shall service that EVERY year”. We all say that with car or boat engines and your cooker or water heater is no different. We ask for a service when we mean “can you fix it please, it is not working properly”. So top tips for appliances. Keep it clean and use it often. All simple stuff but if you never use your rear burner on the cooker a spider will soon make a home there. Come BSS time it doesn’t work and paying someone to evict a spider is very annoying for your wallet and the spider. That’s about it really. Apart from saying anything else is work best left to professionals. I even sent this article to a couple of gas engineers to make sure it was ok. Social media makes me and gas engineers very worried when a gas question is posted. Often only minutes later a reply from a stranger arrives telling them to take the thing apart and “it’s easy”. Just like rocket science.